Lindsay received her bachelor degree from Plymouth State University in the spring of 2004. During her time at PSU Lindsay studied all aspects of dance including performance and pedagogy. She is a former member of the PSU Contemporary Dance Ensemble and PSU Dance Team. Lindsay was also president of CDE and vice president of Dance Team in her senior year at PSU. While dancing at the collegiate level she had attended the American College Dance Festival for five consecutive years, and presented her choreography in a formal adjudication concert. Lindsay was given an Upper Classmen Dance Scholarship her junior year at PSU and she received The Dance Achievement Award upon graduation. She attends many workshops including workshops given by Dance Masters of America, Pulse dance teacher workshop in New York City, and classes offered by the following local companies Pantos Project, Urbanity, and BoSoma. In addition to professional development Lindsay also has taught at many conventions and intensives including The PSU Premier and The Lorraine Spada School of Dance summer intensive. Lindsay is an award winning choreographer who has received many accolades for her original student works. She is currently teaching ballet, jazz, contemporary, modern and tap for our school age program. Lindsay is also passionately running the Dance Progressions Dance Ensemble as a lead choreographer. In past seasons her dancers have performed original works at the Plymouth State University Dance Premier, Kaleidoscope Dance Competition, and a variety of benefits across New England. In 2016 “Stay” an original work placed first overall in its category at the Kaleidoscope Dance Competition. Lindsay has also choreographed many solos for contestants competing in the Miss NH and Miss NH Outstanding Teen Scholarship program. She most recently choreographed Miss NH Outstanding Teen 2016’s state talent routine. 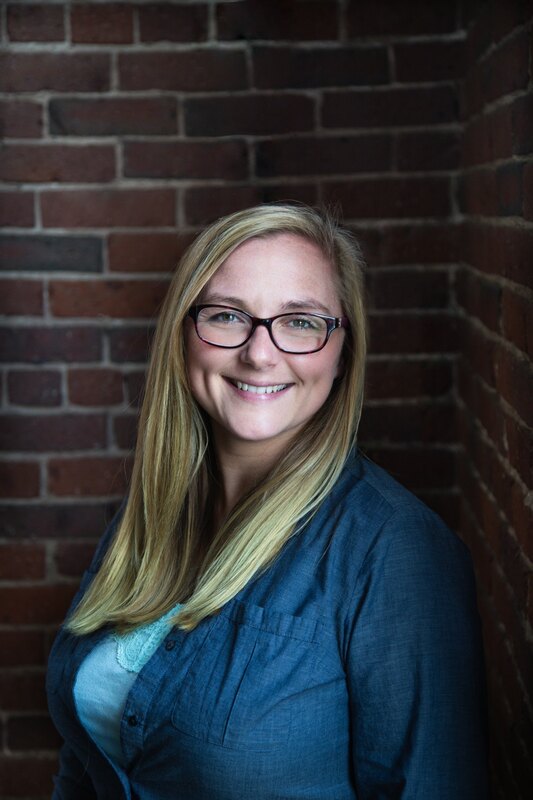 Lindsay has also choreographed student routines for the Boston Celtics in 2005 and 2013, UNH veterans memorial football game in 2013, and the Manchester Monarchs in 2015. She is the proud mother of two young boys who certainly keep her on her toes. Miss Mary is a tenured member of the staff at Dance Progressions where she serves as co-director. She is happy to be such an integral part of the studio alongside Miss Lindsay as they truly compliment each other’s visions for the studio. She is a graduate of De Sales University with a Bachelor of Arts degree in Dance and a minor in technical theatre design. Proficient in the idioms of ballet, modern, tap, jazz, and creative movement. She has also served as a guest instructor for local studios in Southern NH. Her students have performed in many local civic and charity events as well as many professional sports teams. Mary’s students have graduated from both under grad and graduate schools for dance as well as performing in professional dance companies. She has been active in the Miss America Scholarship Program as a volunteer, judge and mentor to many local and state titleholders in New Hampshire. Her students include Miss New Hampshire 2015, Holly Blanchard and Miss New Hampshires’s Outstanding Teens 2016 and 2017, Teghan Gregson and Kenzie Goode. Mary’s philosophy of teaching is to allow students to appreciate dance as an art form and as a technique. She offers classical training in a disciplined yet non-threatening atmosphere for dancers of all ages and abilities. Stephanie has had a passion for expressing herself through movement for as long as she can remember! 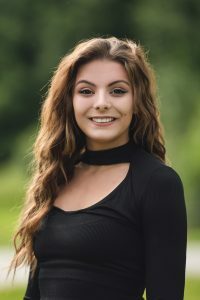 A native of Derry, New Hampshire, Stephanie received her formal dance training at Dance Progressions, where she focused on learning: ballet, pointe, modern, and jazz. In May of 2015, she graduated from Plymouth State University with a Bachelor’s of Science in Elementary Education (Teacher Certification K-8) and a minor in Dance. While attending Plymouth State University, she was a member of the dance department’s Contemporary Dance Ensemble all four years of her attendance. Stephanie spent her collegiate training under the guidance of instructors Lenore Sousa, Lisa Travis, and Amanda Whitworth. Over the past few years, Stephanie has taken multiple classes with various dance talents, including: Pantos Project, Urbanity, and BoSoma. She has also performed for various events, including: Plymouth State University’s Dance Premiere Gala, Dancers Making a Difference, Derry Fest, Plymouth’s Senior Center, the Boston Celtics, and on the Miss New Hampshire Stage. When she is not in the dance studio or the classroom, Stephanie can be found doing a variety of other activities. She has a love for the Shaolin Kempo Martial Arts. Currently, she holds a fourth-degree black belt, the honor of the title “Sensei”. She is also an avid fitness-lover and can be found working out in the gym, camping with her family, kayaking, and trying out her newest interest, yoga. Nicole grew up in New Hampshire where she began her dance training at 13. After years of competitive gymnastic training she found her love of dance under her mentor Crystal Dionne At CKC Dance Academy, where she was an assistant dance instructor and was on the performance and competition teams. She possesses experience in a wide range of dance styles including jazz, tap, ballet, modern, lyrical, pointe, hip-hop and contemporary. She recently graduated Point Park University with a Bachelor’s of the Arts in Dance Pedagogy and a concentration in Jazz Dance. While at Point Park Nicole was able to study and work with famous teachers and choreographers including Ron Tassone, Kiesha Lalama White, Jason Mcdole, Ron Hutson, Susan Stowe, and Jill Lazzini. With her knowledge, training and a passion Nicole wishes to inspire her students to find their own love for dance. Melissa is a graduate of Dean College where she earned an Associate’s Degree in Art for Dance, and was a member of Dean College’s Pom Team. Melissa began dancing locally at the age of four and has studied all genres of dance including ballet, tap, modern, contemporary, jazz, lyrical, hip hop, pointe, musical theatre, acro, and aerial silks/lyra/bungee. She has competed in groups and as a soloist earning high/ top awards for her performances. Melissa has also attended classes at New England Center for Circus Arts for aerial silks, bungee, stilt walking, tight rope walking, hand balancing and the German wheel. Melissa has attended many conventions including Turn It Up Dance, Step Up to Dance, and Monsters of Hip Hop; and she continues to attend dance workshops and conventions. Melissa has had the opportunity to perform as a backup dancer for Kaya Jones (from the Pussycat Dolls) at a local appearance; performed on stage with Billy D and the Rock-its Doo Wop Show Band; and performed the lead role in the ballet production of Swan Lake for recital. Melissa realized her passion for dance at a very young age, and now enjoys sharing her passion and knowledge with others. Jamie began her dance journey at the early age of two. By the time she reached 18, she was choreographing, teaching dance classes, and traveling with acompetitive team for her local dance school in Southern New Hampshire. After high school, Jamie went on to join the dance team while she attended classes at Keene State College. By 2009, Jamie had been living in Nantucket, MA, where she began teaching a few dance classes to school-aged children. This opportunity quickly grew and transformed into her becoming the Assistant Director of Dance Works of Nantucket. Working closely alongside the Director, Jamie aided in the development of the dance program, which offered dance education to nearly 200 students. With Dance Works, Jamie taught Creative Movement, Tap, Ballet, Hip-hop, Jazz, and Lyrical dance styles. She also continued to create meaningful opportunities for her students within the community and organized an annual winter performance that took place at the Nantucket Whaling Museum, in addition to their yearly spring show. Another one of Jamie’s major accomplishments with Dance Works was her creation of the Nantucket Community School Summer Dance Program. Jamie has always wanted to share her love for all aspects of dance with as many students as she could. This program allowed her to offer students the option to further continue their dance lessons throughout the summer, as well as a chance for them to learn beyond just the dance floor. She offered classes on such subject matters as choreography for young dancers, editing and creating short music videos, how to be a healthy dancer, and history of dance around the world. Due to her success with Nantucket Dance Works, Jamie was hired by the Nantucket Figure Skaters to be their off-ice coach. She worked with them on their conditioning to help strengthen their form, lines, and precision. She was also able to choreograph their off-ice dances that were performed at their traveling competitions, both on and off Nantucket Island. During the skaters’ off season, Jamie taught an intensive conditioning summer camp. Along with her love of dance, Jamie has continued to pursue her goal of working with children through her continued education. She recently graduated in 2016 from Southern New Hampshire University with a Bachelor of Arts degree in Psychology with a concentration in Child and Adolescent Development. She plans to further her higher education by studying Mental Health Counseling for Children and Families in the years to come. 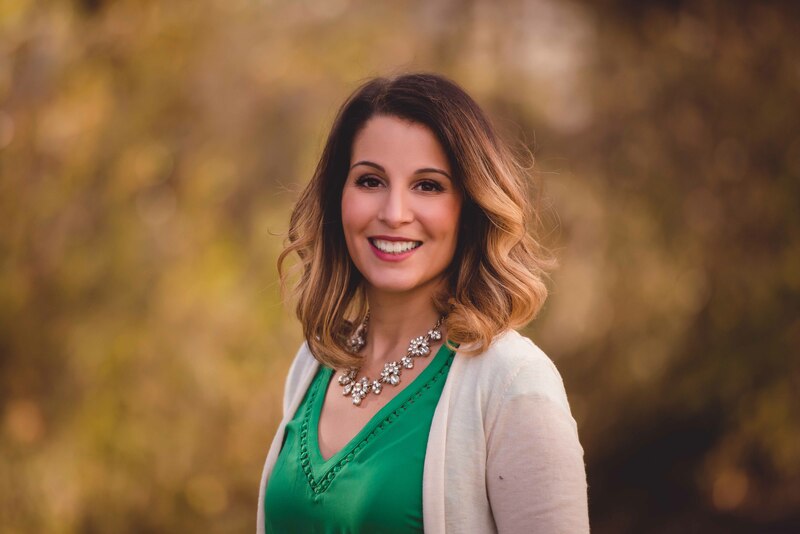 Whether on or off the dance floor, Jamie is passionate about providing adolescents and young adults with the opportunity to grow emotionally and physically. Sammy Gallagher is a graduate of Pinkerton Academy class of 2018. She has studied at Dance Progressions since the age of 3 in the genres of tap, jazz, ballet, hip-hop, modern, acro, and pointe. Sammy was actively involved with Dance Progressions Senior Ensemble over the past 6 years. She has been involved in many local performances, and spring show productions by Dance Progressions. Sammy has also performed for the NH Fishercats, Boston Celtics, and Boston Red Sox on multiple occasions. One of her favorite and most notable roles was Jafar in Dance Progressions production of “3 Wishes”. Sammy has years experience as an assistant at Dance Progressions. She most recently has worked with students ages 2-6 in tap, ballet, hip hop, and acro. Upon graduation Sammy was awarded the Rhonda Mennino Memorial Scholarship because of her hard work and dedication to her craft. During her time at Pinkerton, Sammy was also a committed member to the Pinkerton Dance Program (Concert Dance Company) since freshman year as a dancer, choreographer, lighting designer, costume designer, sound technician, and assistant artistic director. By her senior year, she had already produced 11 different pieces of her own choreography for stage. While working with Concert Dance Company, Sammy was given many opportunities with professional dance companies. Some of these opportunities include taking master classes by Ailey II, Vertigo, Koresh, Mocean Dance, and a few other notable companies. Sammy even had the pleasure of being the opening act of Mocean Dance’s show by performing a piece of their choreography that she was personally taught over a series of weeks. As she has been pursuing her love for teaching since the age of 12 by running dance camps in the local elementary schools and becoming a cheer coach (which lead her team to become #1 in New England and travel to Florida to compete in nationals), Sammy is currently working toward her Associates Degree in Early Childhood Education at NHTI where she will then move on to obtain an interdisciplinary study in dance and education at PSU. Sammy is thrilled to be a teacher where she grew up dancing and pass down her passion for dance to every student that walks through the door!